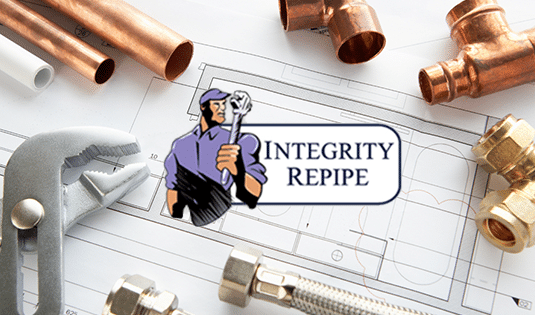 For a top rated repiping and plumbing company in Laguna Niguel, California, Integrity Repipe has the skill and expertise to turn your stressful repiping job into an easy and fast experience. 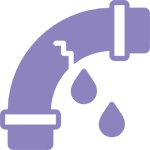 Having your entire home or business’s plumbing replaced may seem like a daunting task to undertake, not to mention expensive, but our professional plumbing experts can help make the process less intimidating. We can replace your old lead pipes, galvanized pipes, copper, CPVC, and other materials with a newer and more effective system that will last for years to come. With an A+ rating with the Better Business Bureau and five star reviews on Google and Yelp, our technicians are trusted to bring you affordable repiping services for residential properties. Operating in California since 1990, we have replaced the plumbing in thousands of homes, and are a certified PEX plumbing company in Laguna Niguel. Whether you are attempting to renovate your home and you need to replace the old or poorly installed plumbing, or if your pipes simply need to be restored due to old age and frequent wear, Integrity Repipe is an affordable repiping company near you who can take care of removing your former pipes and installing the new ones in a timely manner. With technicians who are trained to install copper pipes, PEX pipe systems, CPVC pipes and much more, Integrity Repipe is both cost effective and fast! Typical pipe revamps in 2 to 3 bathroom homes take about three days. The first day consists of removing the old plumbing and replacing it with a newer, updated and far more durable plumbing system. The following two days are for patching and repairing the walls in your home to make it look as though we were never there. New pipe installations should be discreet and fast, and Integrity Repipe can deliver! For a local PEX replacement plumber near Laguna Niguel that can also replace and install copper, CPVC, and other pipe materials, Integrity Repipe has been operating in California for over 26 years. With quality and efficiency in mind, our technicians can make sure your repiping job is completed to perfection on time and on budget. We know how scary the term “repiping” can be, that’s why we put in the extra effort to ease you through the process. 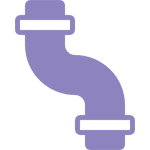 Over the years, your pipes can leak because of poorly installed and manufactured pipes, making your water pressure suffer, or turning your water into a rusty hazard. At Integrity Repipe, we can make sure that your new plumbing system is installed to perfection and we only use materials that have been manufactured in the U.S. ensuring quality and longevity for your pipes. Although they are more expensive to install, PEX pipes for your new plumbing system are a great option. 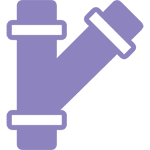 As they can last much longer than typical galvanized, CPVC, or copper pipes, they resist freeze damage and are much more flexible than the more common plumbing types. They also last much longer and require less maintenance and monitoring as they are more durable. At Integrity Repipe, we are a certified copper and PEX plumbing company who can help you weigh the options of both Copper and PEX systems. Although copper is much more cost effective and gets the job done, PEX piping systems can last much longer and provide a more durable plumbing experience than other plumbing types. For help choosing your next pipe system, contact Integrity Repipe! With non invasive leak detection, Integrity Repipe in Laguna Niguel is just the residential repiping company to take care of your leaky pipes and and full pipe replacement. When you need the pipes in your home replaced quickly and cost effectively, Integrity Repipe is a top rated repipe company in Laguna Niguel. We offer affordable home repipe services when you need a copper repipe plumber, CPVC plumber, or PEX piping specialists. We have many five star client reviews on both Google and Yelp, and work to make sure that your home’s plumbing is prime working order. Offering free estimates and rapid response time, replacing your plumbing with Integrity Repipe is easy! For more information about PEX repipe services, copper home repiping, and other plumbing services that we offer, give us a call today!